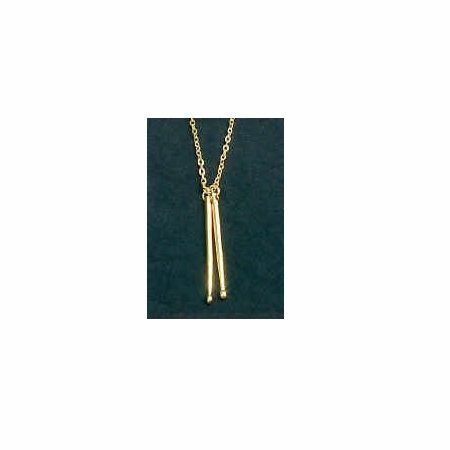 Drum Stick Necklace – This gold tone drumstick necklace has been very popular over the years. It features a 24″ matching chain and solid 2″ drumsticks. If you’re looking for a unique music gift for your special snare drum or drumset player, this drumstick necklace is it! The perfect drummer gift idea! Cool Drum Stick Necklaces at DRUM BUM!